The biggest reason I listened to this song, besides the success of DJ Carisma’s last collaboration (which you can check out here), was how this song managed to take three of my favorite underrated RnB singers and put them together on a track. While Tory Lanez sounds a bit too much like Jeremih for my taste, this song is gold for any modern RnB fan. DJ Carisma does a great job of combining a unique sound with the signature DJ Mustard beat (you know what I’m talking about). It may stick out at first, but it adapts to the vocals very well. All three sung portions sound solid, if not slightly over-autotuned and the hook is almost too catchy (at least for a white boy like myself). Sage The Gemini’s verse is timed right, as I don’t think I would enjoy the song as much if it were any longer. It’s a nasty stanza, but in comparison to the other artists on the “Anyway” Team, I needed it to be quick. If you don’t like autotuned vocals, I would keep scrolling. 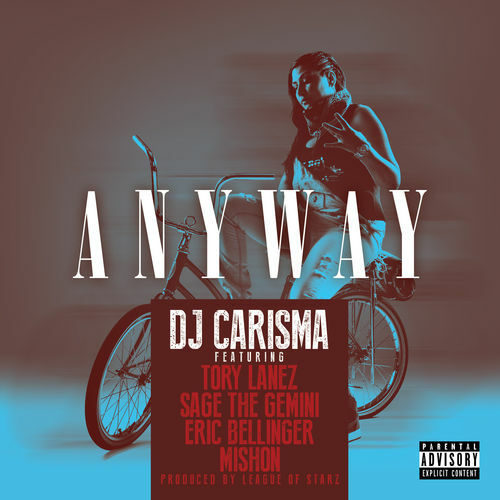 DJ Carisma has proven now, however, that she is an expert at putting together a perfect group for a song. I love RnB, so this may be biased, but her contributions so far has been impressive.